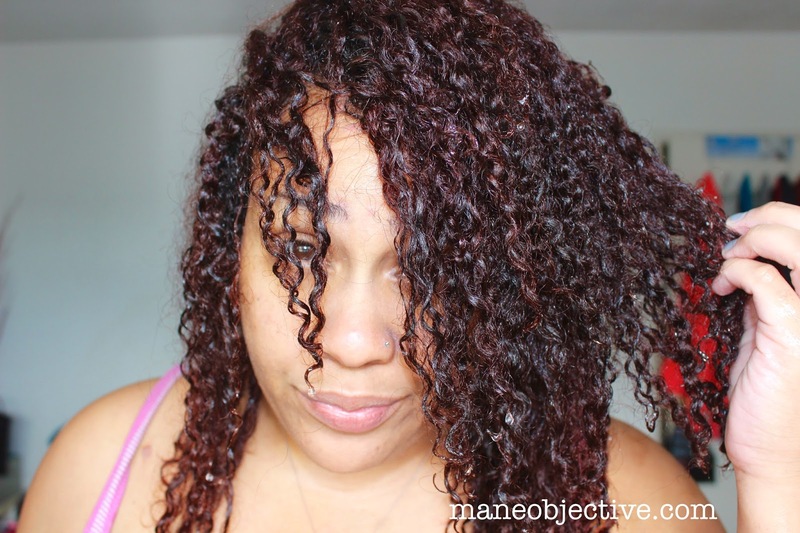 Yassss, another deep conditioner review! If you guys recall, in January I had the privilege of attending ISSE 2015 Long Beach, aka beauty junkie paradise. You can read all about my experience here, but if you're not about that click life, I'll just share that there were two brands I was really excited about -- Amika and Zotos Professional. While at the Amika booth, I got suckered in by my product junkie tendencies, inability to turn down a sale, and love of freebies, and ended up dropping $60 for a 5 product bundle and free (but empty) jet set beauty bag. Availability: As I mentioned previously, I picked up the Nourishing Mask from the Amika booth at ISSE Long Beach. I haven't seen it on any shelves, although they have store locator here. Online, oddly enough, it isn't listed on their website. I only see it on Birchbox and Amazon. Affordability: Here's where things get a little sticky. At the $40 regular retail price, the 16.9oz jar is definitely pricey. but still a better value for some others who give you a fraction of the product at the same price. But, considering that I paid $12 for a $40 product, I definitely feel like for me in this isolated incident, it was affordable. If they're at ISSE Long Beach next year, I'll buy 2 more (lol). Birchbox also carries a $28 8.5oz jar, if that seems more budget-friendly for ya. If this ingredient list looks at all familiar to you...just hold on to your hat. I'll be with you in a moment. Cetyl & Cetearyl Alcohol: Considered "fatty alcohols" -- NOT to be confused with drying alcohols such as ethyl. Both cetearyl and cetyl alcohol are lubricants, thickeners, and emollients. 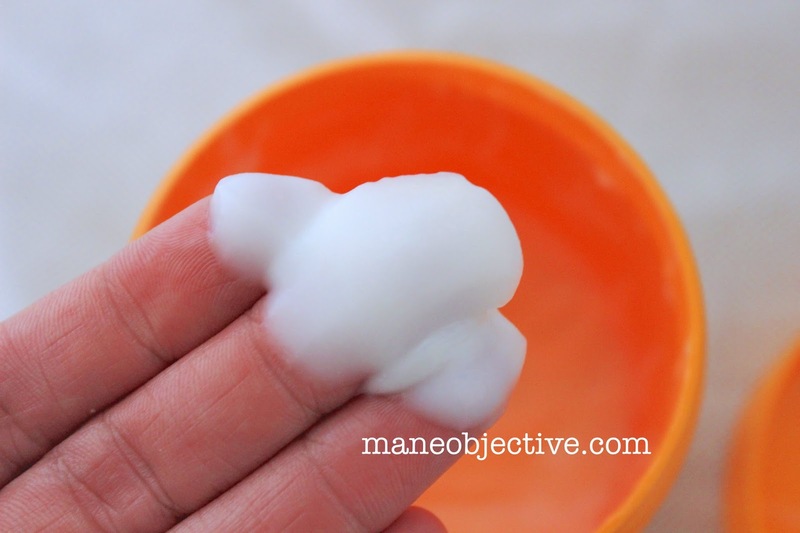 They give conditioner its velvety feel without making hair greasy. Also used to keep product ingredients from separating. Product Claim/Description: Intense conditioning and repair for all hair types. The Nourishing Mask intensely conditions and repairs hair. The natural ingredients in the mask penetrate the surface of the hair to get to the root, sealing split ends, improving shine, elasticity and nourishment. Safe for color treated hair. 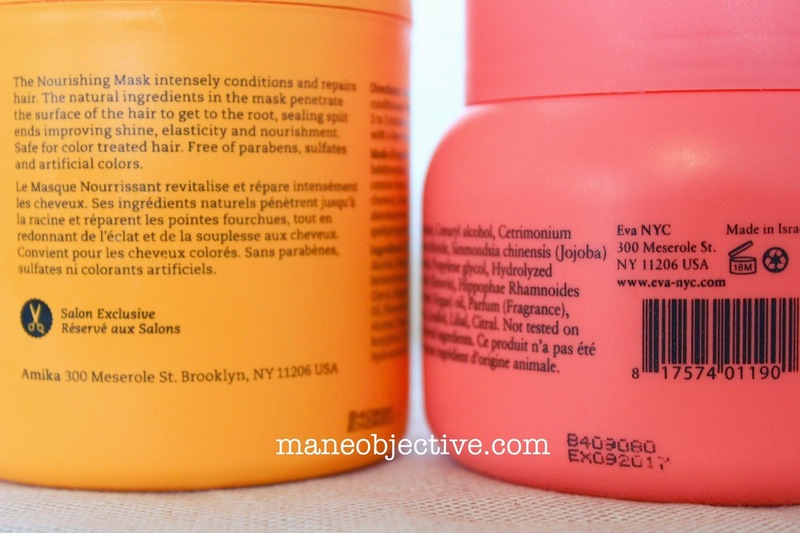 Free of parabens, sulfates, and artificial colors. Performance/Delivery: With me and the Nourishing Mask, it was love at first deep condition. The first jar is almost empty now, and I can confidently say that after about 5 deep conditioning sessions, the Nourishing Mask gives me life! It's thick, creamy, glides onto my hair with ease, and has slip for the ages. The Mask does not have artificial colors (which I like), but it does have a slight orange-ish brown tint (that's almost undetectable, but I peeped it), due to the sea buckthorn oil. For those of you unfamiliar with pure sea buckthorn oil, it has a very, very deep amber hue with orange undertones, so it would make sense that the Nourishing Mask isn't stark white. The Mask is also strongly fragranced, a very romantic and slightly sweet perfume scent comes through the second you open the jar. It lingers slightly on the hair, but doesn't bother me because I understand why. Having used pure sea buckthorn oil (and taken Omega 7 supplements with sea buckthorn), I can attest to the fact that the pure oil smells HORRIBLE. Yes, it has some amazing properties, but it stinks to high heaven. So the fact that the Nourishing Mask is so aggressively fragranced? I'm not even mad. I'd rather not smell sea buckthorn! Now let's talk about use. Because of it's richness, it was an ideal choice for my medium-high porosity, color treated hair. I found it to be super moisturizing, softening, hydrating, smoothing, and everything I love a deep conditioner to do and be. I tested it out in the 3 minute quickie conditioning period mentioned on the jar, and I also deep conditioned with it for 20 minutes. Either way, it worked pheeeeenomenally. When I went to rinse though...that's when I got excited. You know that epic, buttery smoothness unparalleled that I get from Eva NYC Therapy Session Hair Mask? Yes, that buttery love? Amika Nourishing Mask GAVE ME THAT. No roughness, all smooth, all shine, de-frizzed for the masses smoothness! I almost did the running man in the shower, but then I realized I'd probably fall from all the slip of rinsing the Mask out. 1. The address on both Eva NYC's Therapy Session and Amika's Nourishing Mask is the same --300 Meserole St. in Brooklyn. 2. The top 5 ingredients after water are almost identical. Like, virtually the same ingredients minus the cetrimonium chloride...but as you all know the first 5-7 ingredients after water form the base of the product. I was beginning to feel some type of way -- are Eva NYC and Amika owned by the same company? Is 300 Meserole some sort of business suite, factory, warehouse, laboratory, or what? Sadly, Google failed at satiating my appetite for knowledge. I don't know what any of this means - if Amika and Eva NYC are two brands owned by the same company, or if one is an offshoot of another. All I know is that I have two deep conditioners that are nearly but not totally identical in make-up and performance, from brands with similar marketing angles. 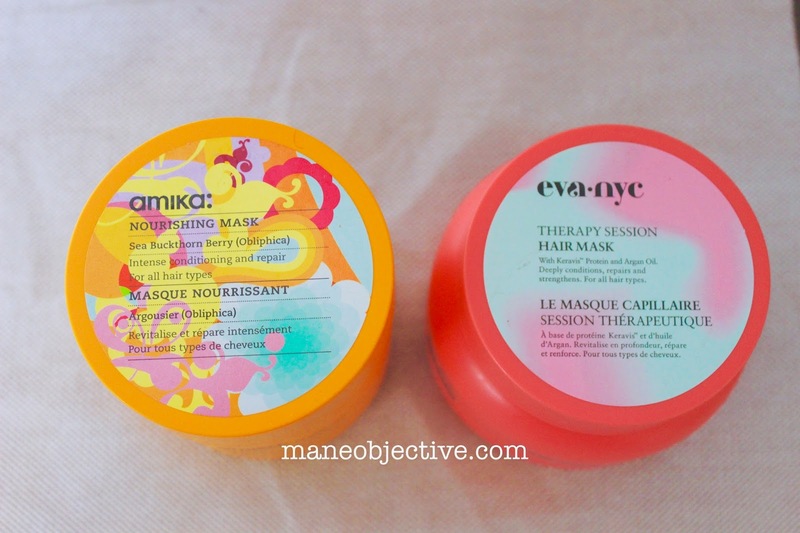 The major difference is that Eva NYC Therapy Session contains Keravis protein and cetrimonium chloride (which my hair loves by the way), and Amika Nourishing Mask is protein free. Don't get it twisted though, absolutely none of this tea takes away from the performance of the product. Stellar. On fleek, Off the charts. Amazeballs. Period. Every single expectation that I have of a deep conditioner, it exceeds. Drawbacks: Aside from my unanswered questions, the only other drawback is that for you ladies who follow CG or Max Hydration Method, it's not amenable to those. It does contain dimethicone (which I am completely okay with), but if cones aren't your thing, this may be something to skip. Bonuses: Insanely cute packaging notwithstanding, a bonus is that Amika Nourishing Mask is protein free. For you ladies with protein sensitivity that still want that "my hair has new life" feeling after deep conditioning, this one will give it to ya. Overall Product Rating: 4 stars. It's a dope deep conditioner that delivers, and instantly improves the health of my hair. The price point combined with lack of on the ground access is a challenge for me, though. 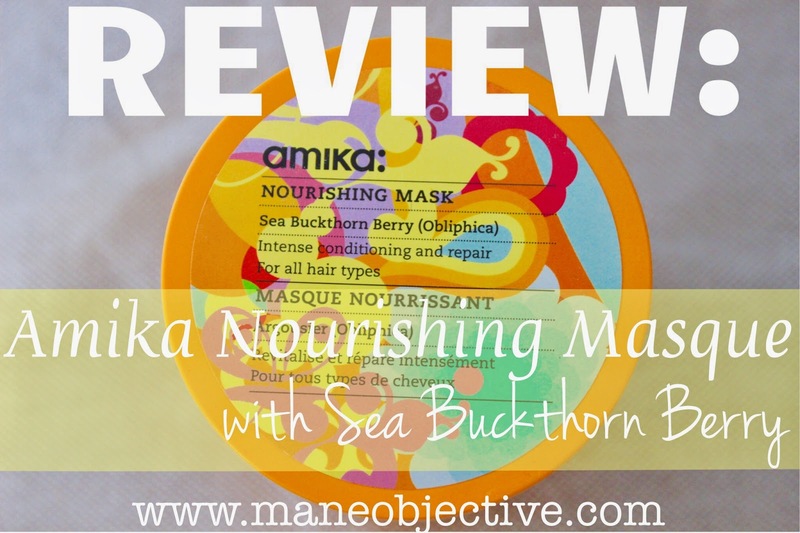 Bottom Line: Amika Nourishing Mask works incredibly well. It delivers flawlessly, and I will happily use out the first jar and ration the second jar to last me the rest of 2015. If you're protein sensitive but want to invest in a good deep conditioner, I totally recommend the Nourishing Mask. However, if you don't have an aversion to protein and want to get a feel for the performance of the Amika Nourishing Mask, head to Ulta and grab the Eva NYC Therapy Session Hair Mask. It's normally $14.99, but on sale this week (week of 2/15/15) for $11.99 plus 20% off with the www.ulta.com coupon. 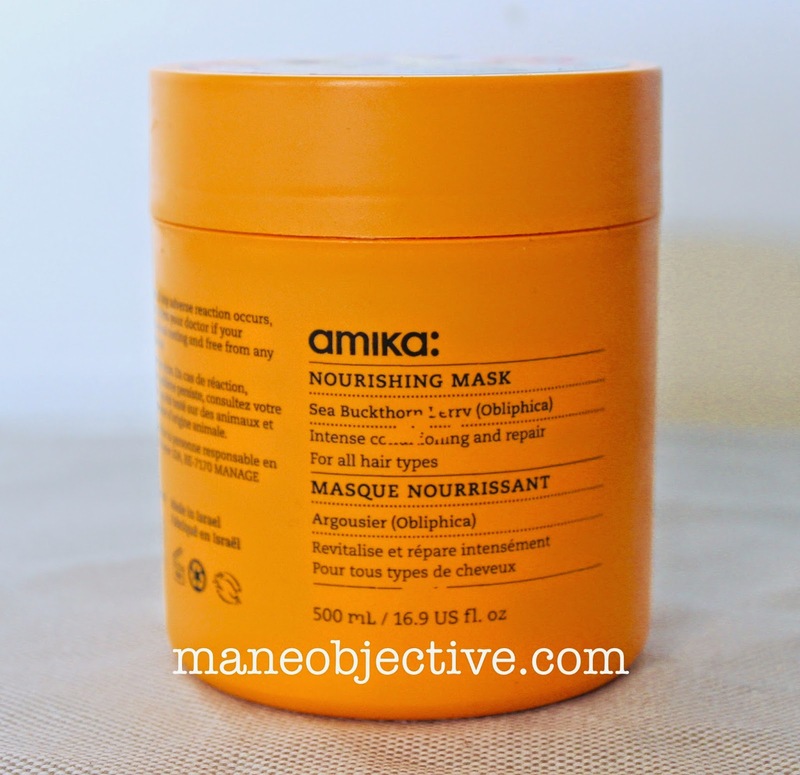 Best Practices: Use Amika Nourishing Mask like you would any deep conditioner. It's pretty much a fail-proof product. Leave it in for 2 minutes or 20, with or without heat and it works wonders either way. You can detangle with it, or apply it to already detangled hair. This product will float whatever your deep conditioning boat is! I hope the Amika//Eva NYC//300 Meserole crew doesn't get mad at me...but you guys know how I roll! I had to let y'all know the truth! Will you be giving the Amika Nourishing Mask a try? Let me know in the comments below! Hey Christina. SO I stalk your blog and decided to do some digging myself since I live in NY. When you look at the google map street view of the area, it seems that the place is some type of warehouse and the home of a shipping company. Maybe this is why the two places have the same address. You can always all and ask like you usually do when you have an inquiry. Thank you Shontae!!!! We must have different googles, because my searches spilled absolutely no tea lmao. I'm going to follow up with them for sure!!! Hey Christina (my fellow UC sista -- I'm a UC Riverside alumni though ;) ) I so love the fact that you breakdown the ingredient list and explain things. Thank you! Great in-depth review! I haven't personally used any amika products yet, but I did recently get to sample the smell of their Triple Rx Hair Treatment Mask and wow I am totally addicted to the scent - it's orgasmic! I definitely have to try out their products now; I just hope they work as good as they smell. Oh and to answer your question about amika and Eva NYC, they are in fact made by the same company. They are both owned by a company called Heat Makes Sense Inc, registered at - you guessed it - 300 Meserole St. Trademark websites are a good source of info when you want to find out who owns what brands. Girl, you rock and you know it. Love this down to the tea review, great job.